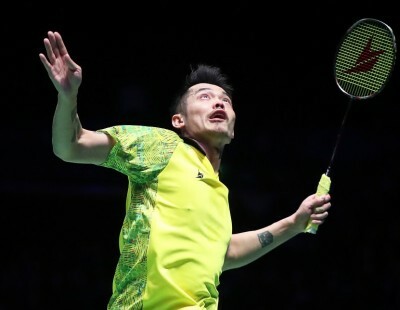 On a day that saw some of badminton’s biggest names knocked out of the TOTAL BWF World Championships 2018, perhaps the most surprised people in the arena were Aaron Chia and Soh Wooi Yik. 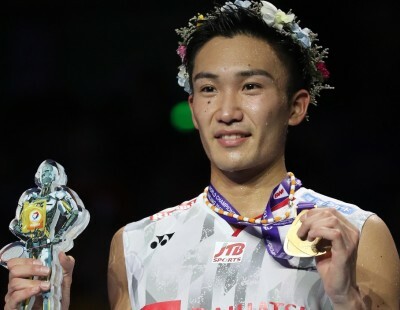 Barely two weeks after their last-minute invitation to the prestigious tournament, the Malaysians shocked even themselves by blowing past No.8 seeds, Kim Astrup and Anders Skaarup Rasmussen, in straight games to be a win away from a medal. 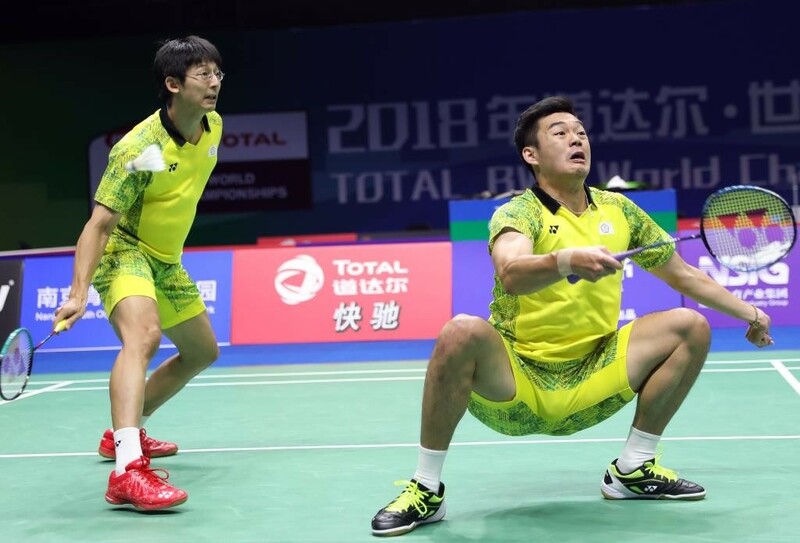 The unheralded pair – who benefited from a withdrawal on the day before the draw – led the first game from 1-1 and then romped clear of their opponents from 11-11 in the second for a 21-18 21-16 upset. Clearly still absorbing their achievement as they spoke to media, the Men’s Doubles tandem admitted it was hard to fathom that they are in the quarter-final mix; one step from the podium. The thought of a World Championship medal left both young men scratching their heads – literally! “We didn’t expect to be here. We just tried to give our best. Even when we reach match point, we tried to calm down and not rush,” said 21-year-old Chia. His 20-year-old partner noted that while they are attacking, their Danish rivals are “more defensive and then counter-attacking” so they prepared for facing that style. “It was not easy, especially as it was the first time we played them. 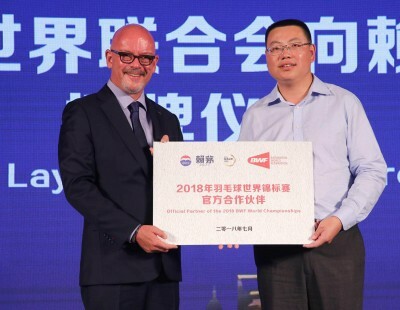 We are proud to be in the quarter-finals,” said Soh who has partnered Chia for about nine months. 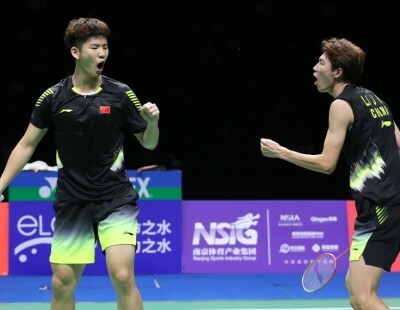 Regarding tomorrow’s quarter-final against Li Junhui/Liu Yuchen (China), the rank outsiders vowed not to pressure themselves though, like true competitors, they are now thirsty for more. It was a men’s double whammy for Denmark as the European powerhouse had earlier endured the demise of veterans Mathias Boe/Carsten Mogensen. The No.3 seeds fell to Chen Hung Ling/Wang Chi-Lin of Chinese Taipei (21-19 21-10). The latter will play Japan’s Takuto Inoue/Yuki Kaneko for a semi-final spot. 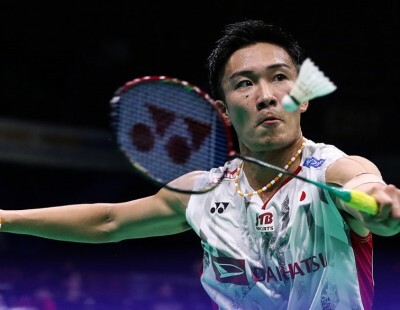 Meanwhile, top seeds Marcus Fernaldi Gideon/Kevin Sanjaya Sukamuljo booked a quarter-final appointment with Japan’s No.5 seeds, Takeshi Kamura/Keigo Sonoda. The Indonesians enjoyed a less stressful outing today, beating Russia’s Vladimir Ivanov and Ivan Sozonov (21-19 21-12). In Women’s Doubles, Japan’s embarrassment of riches proved the undoing of their own standard-bearers as Misaki Matsutomo and Ayaka Takahashi were ousted by their junior team-mates. 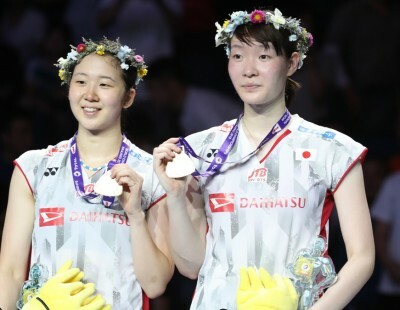 The Olympic gold medallists and No.3 seeds could not find rhythm or reason versus Mayu Matsumoto and Wakana Nagahara, going down tamely 21-13 21-15. “If we can win tomorrow and get a medal, we will be very happy,” said Nagahara, contemplating their quarter-final against Thailand’s Jongkolphan Kititharakul and Rawinda Prajongjai. Meanwhile, reigning World champions Chen Qingchen/Jia Yifan tackle Indonesia’s Greysia Polii/Apriyani Rahayu for a semi-final berth. Mixed Doubles also conjured up a potential thriller with top seeds, Zheng Siwei/Huang Yaqiong, facing Satwiksairaj Rankireddy/Ashwini Ponnappa. 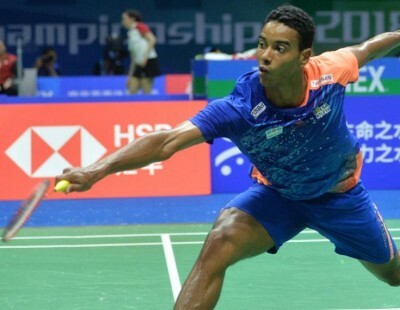 Confirmation of this quarter-final came as the Indians rebounded strongly to topple No.7 seeds, Goh Soon Huat/Shevon Jemie Lai (Malaysia), 20-22 21-14 21-6. 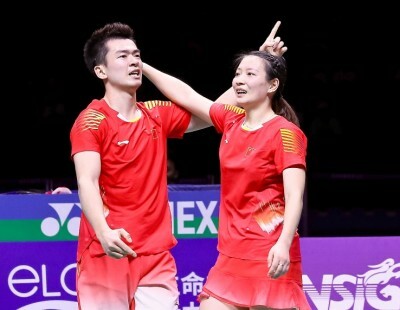 Malaysia’s hopes now rest on Olympic silver medallists, Chan Peng Soon/Goh Liu Ying, who held off a stern challenge from Marcus Ellis/Lauren Smith. 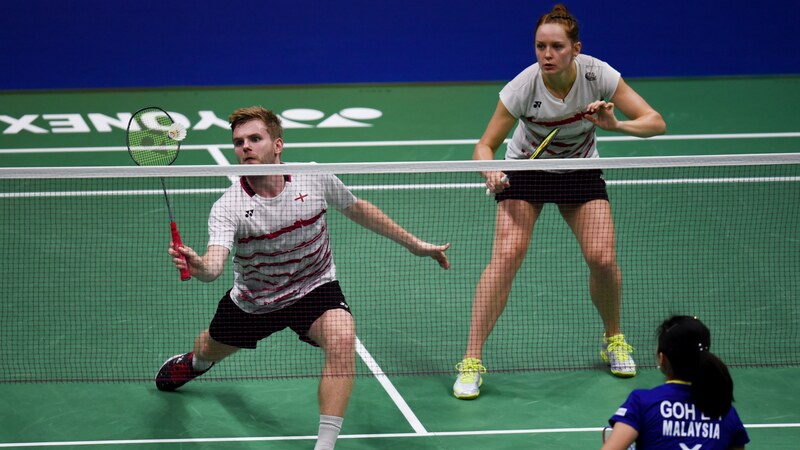 The England duo took the match the distance and led 18-15 in the decider before the No.8 seeds strung together six straight points to wrest the honours, 21-16 17-21 21-18. They will battle Hong Kong’s Tang Chun Man/Tse Ying Suet tomorrow. 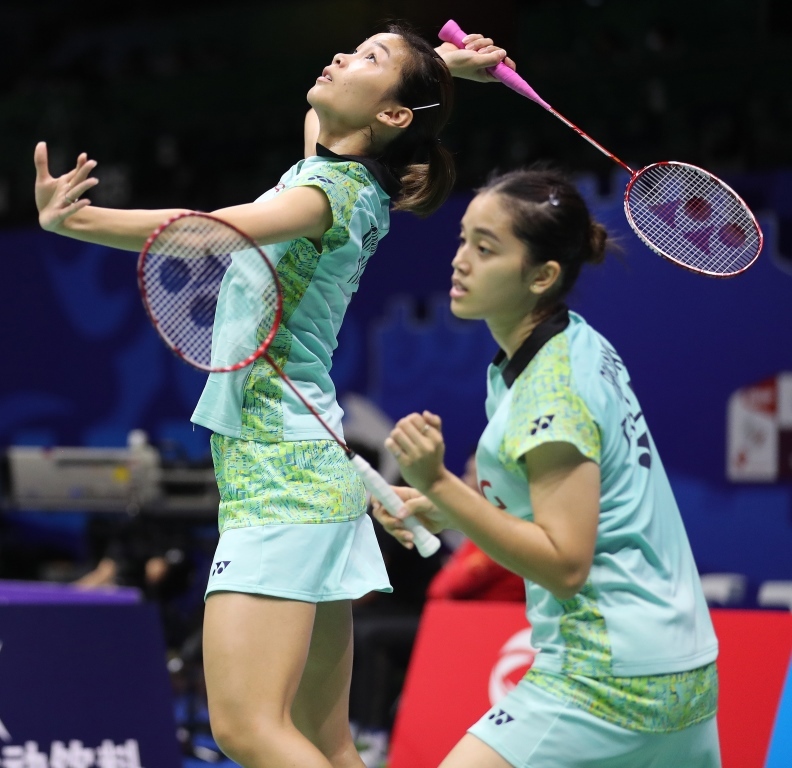 Women’s Singles saw a procession of the best players into the last eight with top seed Tai Tzu Ying (Chinese Taipei) repelling a spirited fight from Beiwen Zhang. 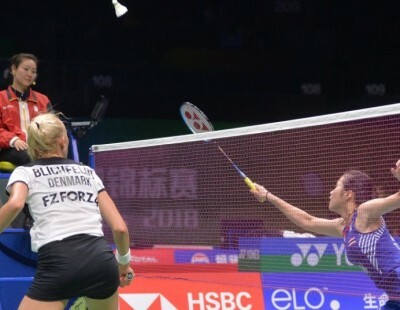 The China-born USA player pushed the world No.1 to 19-19 in the opener but wilted against her rival’s superior arsenal of shots in the second game. 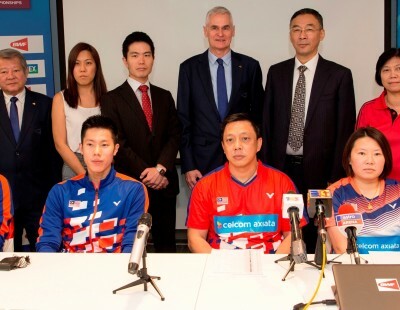 Tai prevailed 21-19 21-14 and now meets He Bingjiao of China to try and secure her first World Championship medal. 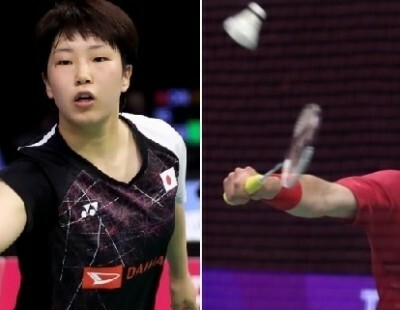 Akane Yamaguchi of Japan, seeded second, set up a clash with China’s Chen Yufei while two-time World champion, Carolina Marin, impressed in beating another Japanese, Sayaka Sato. 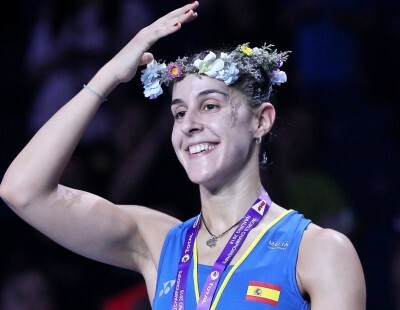 “I spent three weeks preparing for this tournament, both mentally and a few things on court, to be more aggressive. I practised as if I were in a tournament and I am ready,” declared the confident Spaniard. 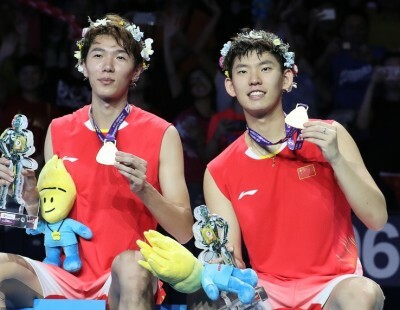 On the men’s side, title-holder Viktor Axelsen (Denmark), Chen Long (China) and Chou Tien Chen (Chinese Taipei) advanced. 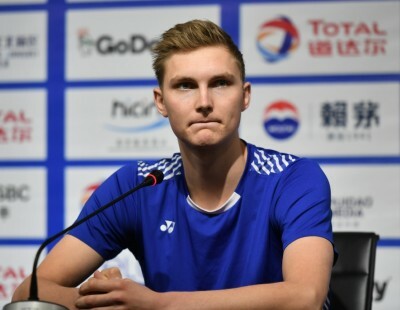 Axelsen and Chen encountered some resistance from their respective opponents – Ng Ka Long (Hong Kong) and Kenta Nishimoto (Japan) – before straight-games wins. No. 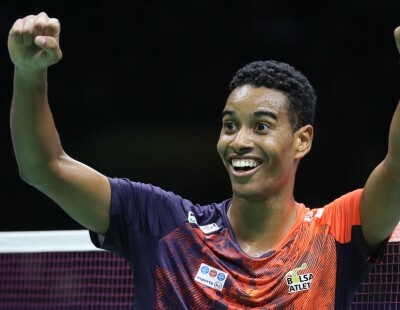 7 seed Chou, however, clinically dismissed Brazil’s young gun Ygor Coelho, 21-11 21-7.